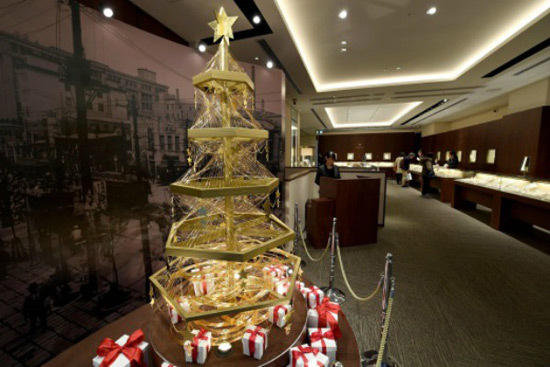 This holiday season, a luxury jewelry store in a famous Tokyo shopping district wished to break all records with its two-meter high Christmas tree, made of wires of pure gold. 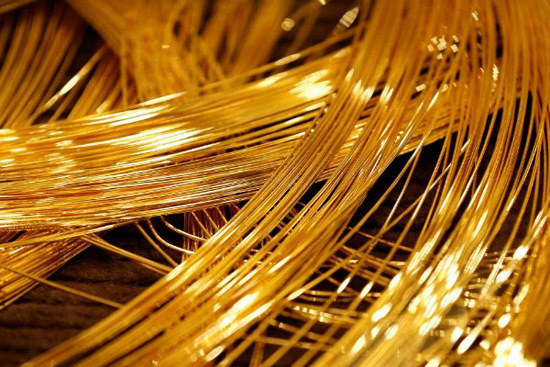 Standing at 2 meters (6.6 feet) tall, Christmas tree is made of 19 kilograms (42 pounds) of pure gold processed into 1-millimeter gold wire. 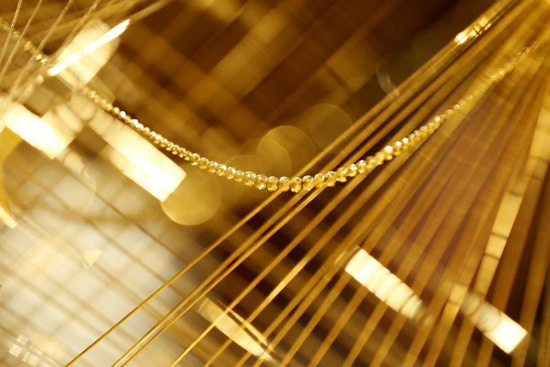 The wire is made from the finest and purest gold,” said Ginza Tanka store manager Takahiro Ito. 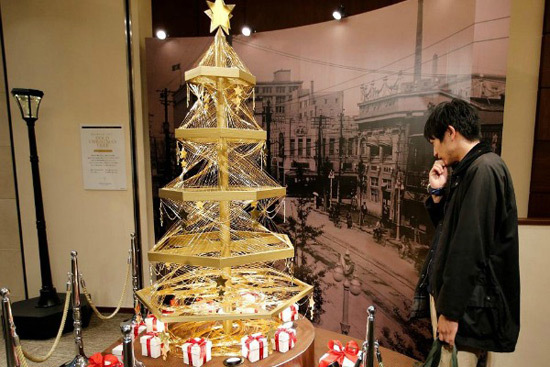 He also said that the tree is work of their jeweler, and its price is 200 million yen (about $1,8 million). 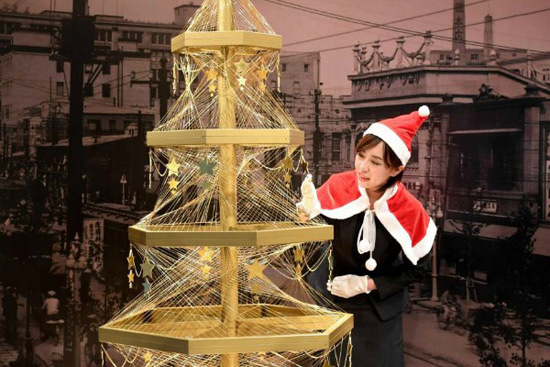 Although it is likely difficult to find a buyer for this Christmas tree, Ito said that he hopes that it will be a true example of Japanese quality, flawless, meticulous and diligent art, for which the whole world will hear. 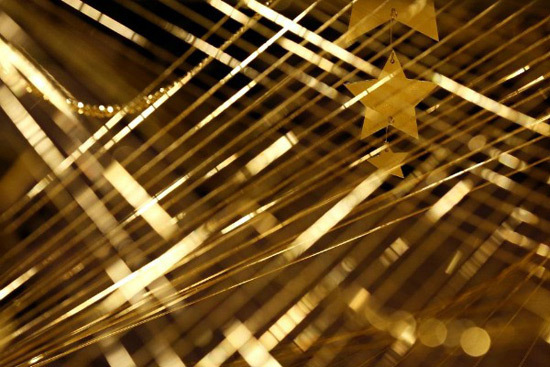 “We made this gold Christmas tree hoping it will remind of bright and shiny future like gold that wipes out gloomy news,” said Ito.